Volcanoes are regarded as a symbol of nature’s fury – they are not just majestic in appearance, they are equally dangerous. One of the incidents that demonstrated the might of volcanoes is the eruption of Mount Vesuvius in the year 79 AD. It is still held as one of the most catastrophic and damaging eruptions to date. The eruption caused the destruction of not only the whole city of Pompeii and Hernaculum, but also led to a large loss of live. There are almost 1500 active volcanoes on Earth, and this is includes only the ones that are on the surface of the Earth. There are many more underwater as well, especially around the Pacific Ring of Fire. Out of these, almost 100 are known worldwide. 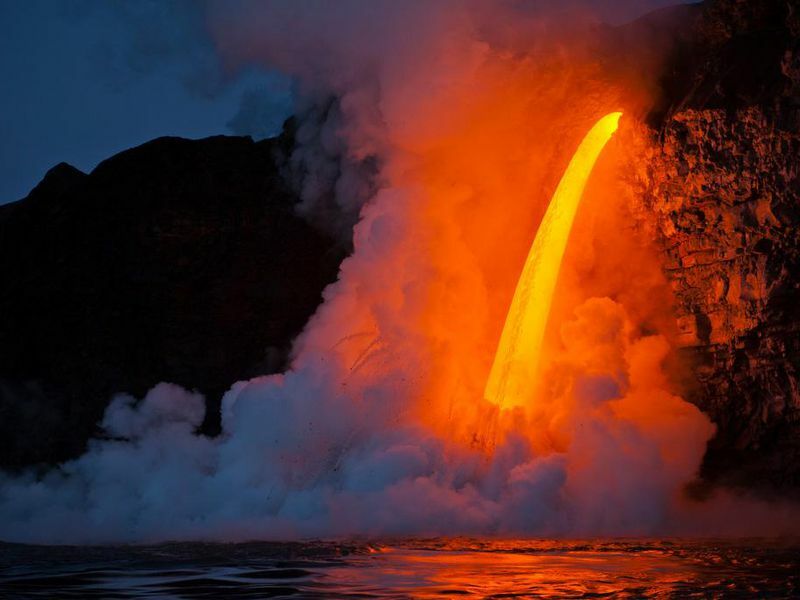 Want to know which are the top 10 active volcanoes in the world? Here they are! 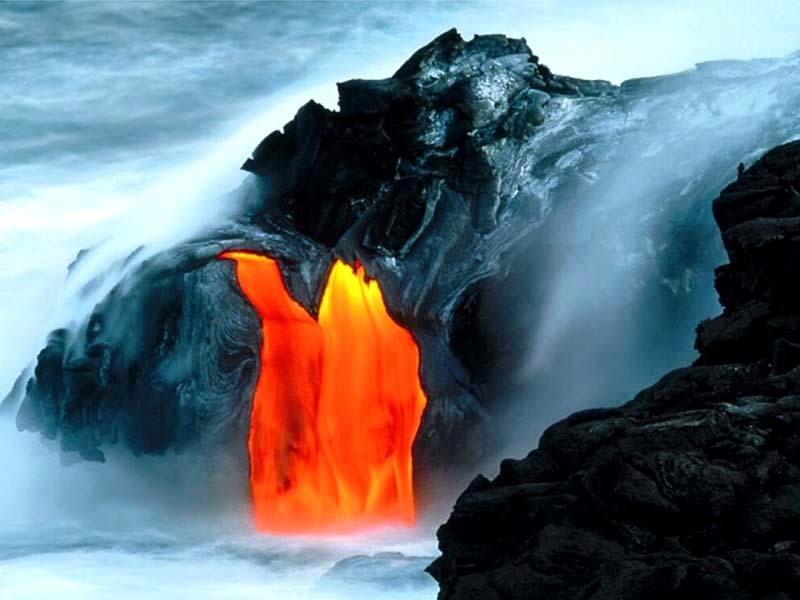 The Mauna Loa volcano in Hawaii is not only the most active, but also the biggest volcano on Earth. It is a popular tourist spot and is also part of various scientific studies. It has been erupting for 700,000 years now continuously. Its most recent eruption was in 1984. The volcano has an extensive network of lava flow, which poses a hazard to the communities that are living nearby. 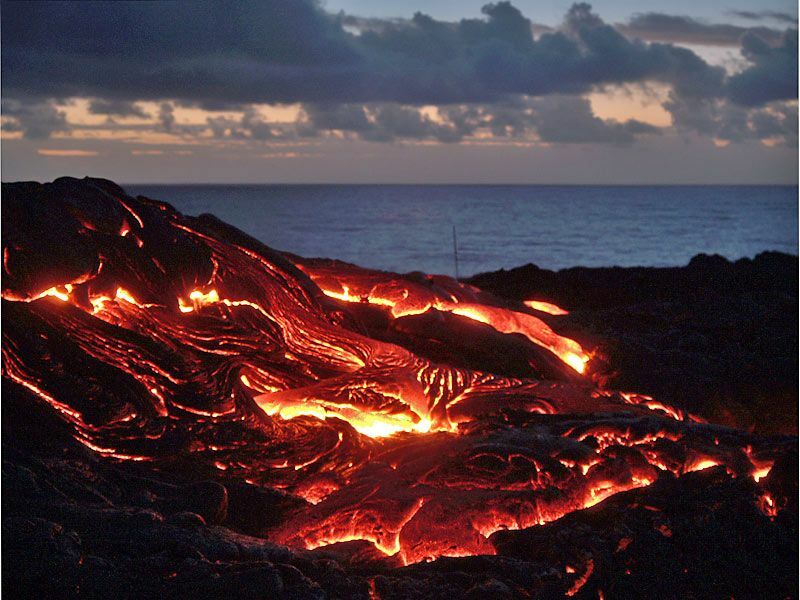 In 1950, an entire village was destroyed by lava. This volcano is part of the several smaller ice caps of Iceland. I’s eruption in 2010 made the world sit back and take note, when the ash plume from the eruption led to an air travel disruption across Europe and North America. As of 2011, the volcano is considered to be dormant. The location of this volcano is what makes this volcano dangerous. Mount Vesuvius is located just 9 kms off the city of Naples, making it the most densely populated volcanic region in the world. Like mentioned before, it is also known for causing what is perhaps, the most destructive volcanic eruption in 79 AD, when it buried Pompeii and Hernaculum under a pile of ash and lava. It is known to have an eruption cycle of 20 years. 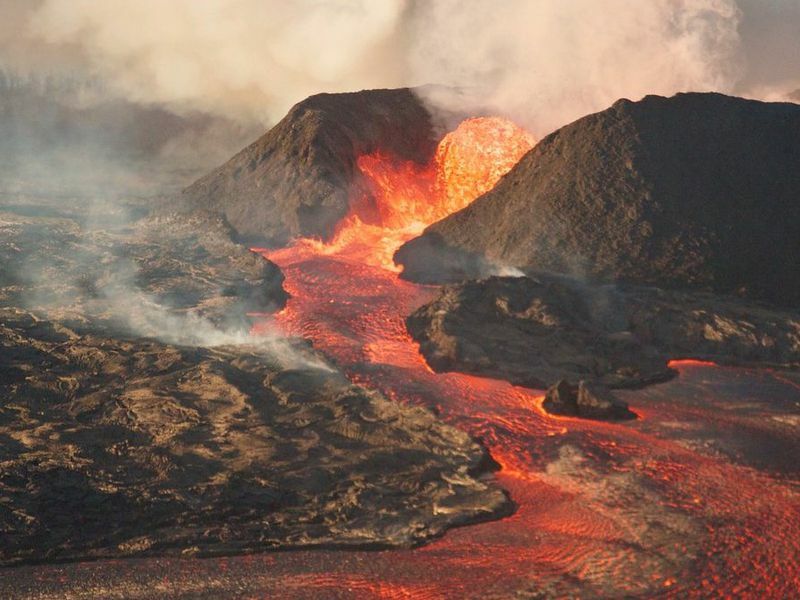 This active volcano has the largest lava lake that spans 2 km wide. It is located in Virunga National Park in Congo. 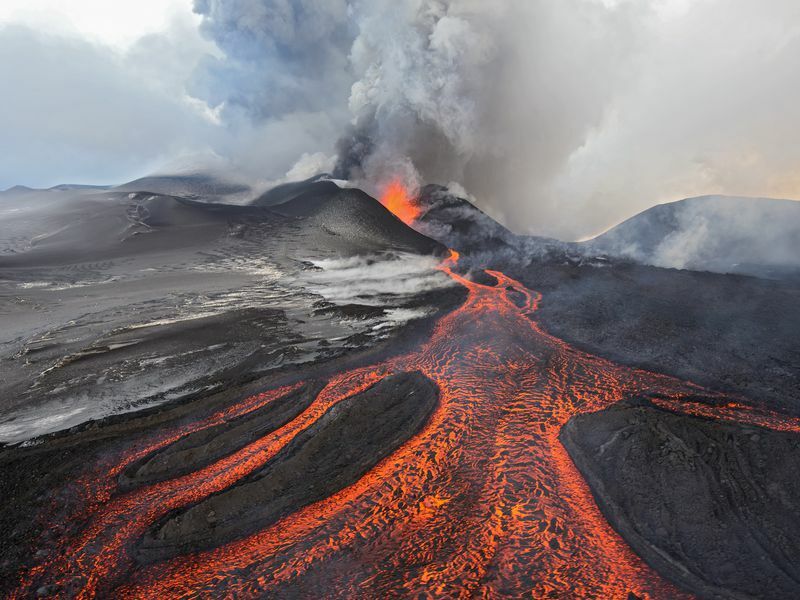 Along with another volcano, it is said to be responsible for 40% of Africa’s volcanic eruptions. 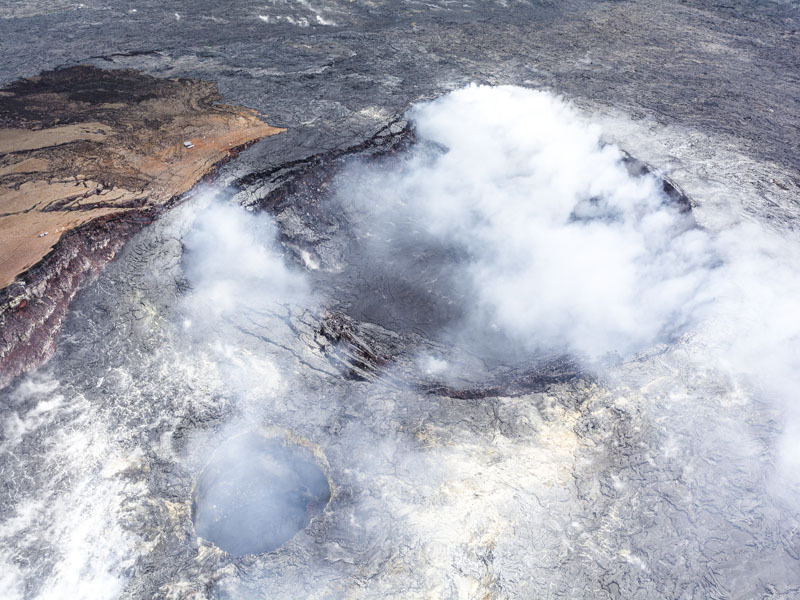 It poses a significant threat to the surrounding communities as it carries a large lake of fluid lava. The Taal Volcano is located on an island near Taal Lake. It is 30 miles off Manila, and has erupted 33 times since 1572. There has been a considerable casualty rate during eruptions and hence viewing is now allowed only from a distance. This volcano is the most active volcano in Indonesia and has produced more lava flow than any other volcano in the world. It has been erupting regularly since 1548. It is believed that it’s eruptions had led to the destruction of the Kingdom of Mataram. It is just a few miles off the city of Yogyakarta, and is hence a significant hazard for its inhabitants. An eruption in 2010 has killed almost 400 people and left many more homeless. Galeras is located in Colombia, near the border with Ecuador. It has been erupting for a million years now. Its first eruption recorded was in 1580 and has been erupting frequently since. It poses a threat to the nearby city of Pasto that lies below its eastern slope. It was thought to have gone dormant in 1978, but erupted later in just 10 years i.e.1988. During a Decade Volcano Conference held in 1993, its surprise eruption killed 6 scientists and some tourists. It has been erupting every year since 2000, causing tremors in nearby areas. Sakurajima is an active volcano that was an island, before lava flow connected it to Osumi Peninsula in Japan. It has been erupting each year since 1955. It is a hazard to the city of Kagoshima, which lies at the foot of the mountain. It’s most recent eruption in 2009 caused thousands of deaths. The government has since, built various volcano shelters and camps in nearby areas for people to take refuge. It is also known as the ‘Vesuvius of the East’. One of the most active volcano since the 20th century, the Santa Maria has had numerous volcanic eruptions within the last 10 decades. It is 130 kilometers off the city of Guatemala, and is located in the Pacific Ring of Fire. Santa Maria has a crater which was formed after an explosion that occurred in 1902. The heavy deposits of magma from eruptions, led to the creation of a heavy dome complex named as Sanitaguito. The clash of the Cocos Plate and Caribbean Plate leads to the volcanic eruptions. The latest eruption occurred in March of 2011. Ulawun is one of the most active volcanoes in the world. It has had 22 major eruptions that have been recorded since the 1700s. Minor eruptions and tremors occur regularly. The main hazard about the volcano is its structural integrity. If an incident of a major collapse occurs, the consequential eruption could lead to the destruction of hundreds of square kilometers of land. Of all the eruptions that have taken place, the one with the most damage was the one that occurred in the year of 1980. 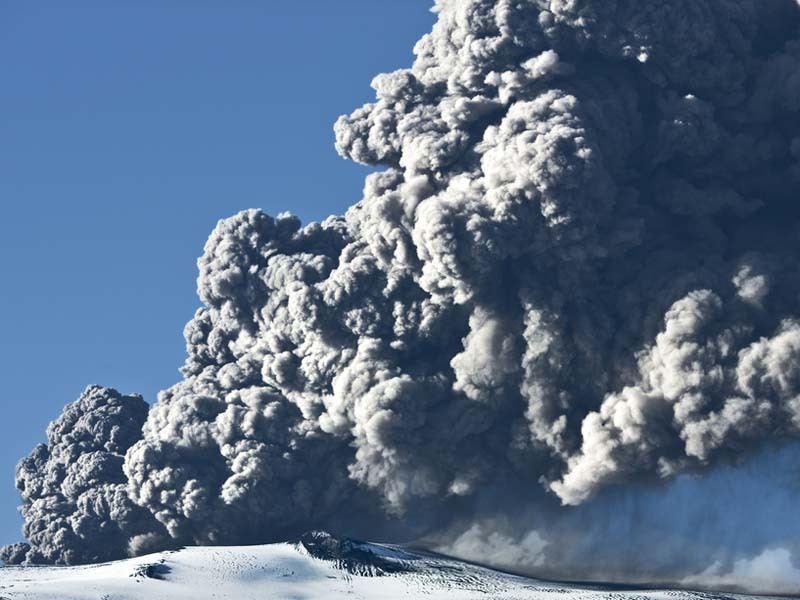 The eruption ejected ash and plume up to 18 kms and caused widespread destruction up to an area of 20 sq km. The last volcanic eruption occurred in the year of 2010. And there it is – the top ten active volcanoes of the world! From Hawaii to Philippines, they’re everywhere, looming over like an uncontrollable power. These majestic yet deadly mounts of fury can be enticing to the eye. Once considered a symbol of God’s wrath, they truly stand testament to the fury of Nature, and the mortality of Man. Spooky right? We think so too.